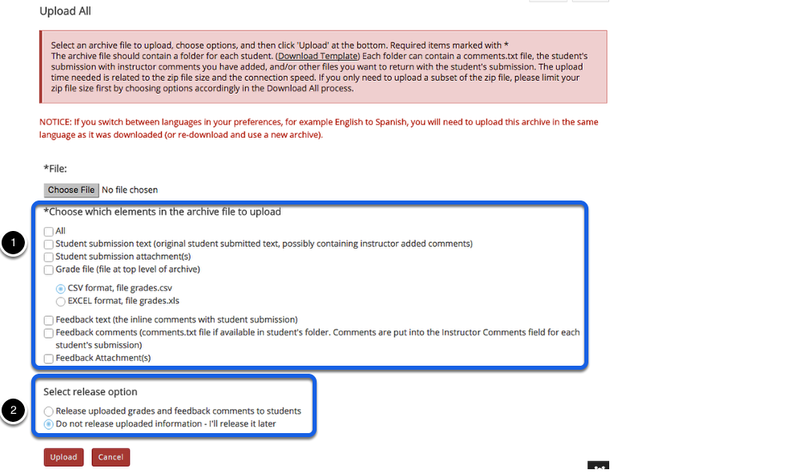 Instructor User Guide AssignmentsHow do I upload graded assignment submissions and feedback? 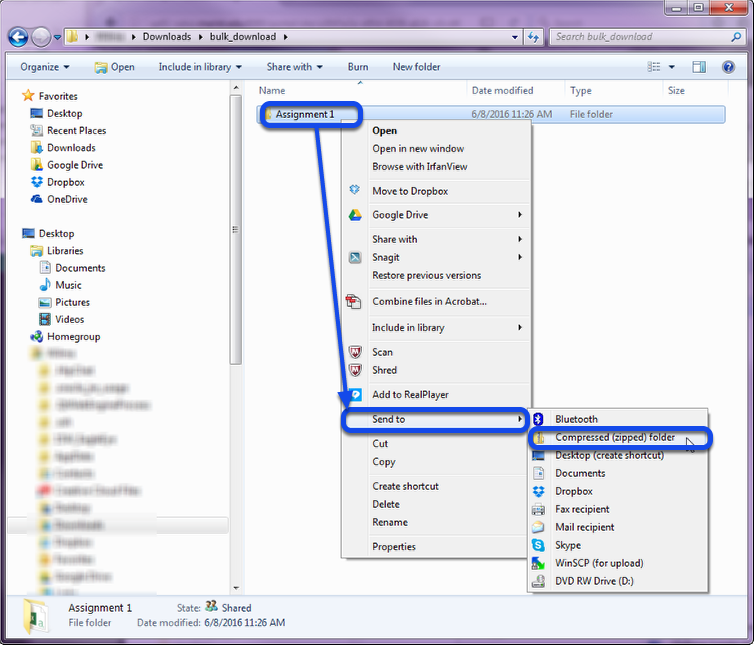 Click the Browse button to browse for and select the archive file on your local computer. 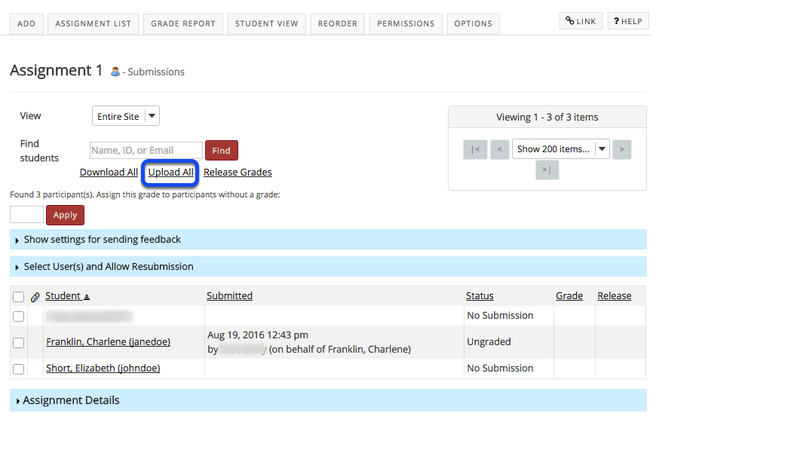 Once your upload is complete, you will be returned to the assignment grading screen. Notice that the grades have now been uploaded and the student submissions are marked as "Graded."